Ten games to go. Two points off the top, two points off the play-off lottery. With now managerless West Brom nine adrift in fourth, we are hurtling along in a three-horse race with Norwich and Sheffield United for the title and promotion. 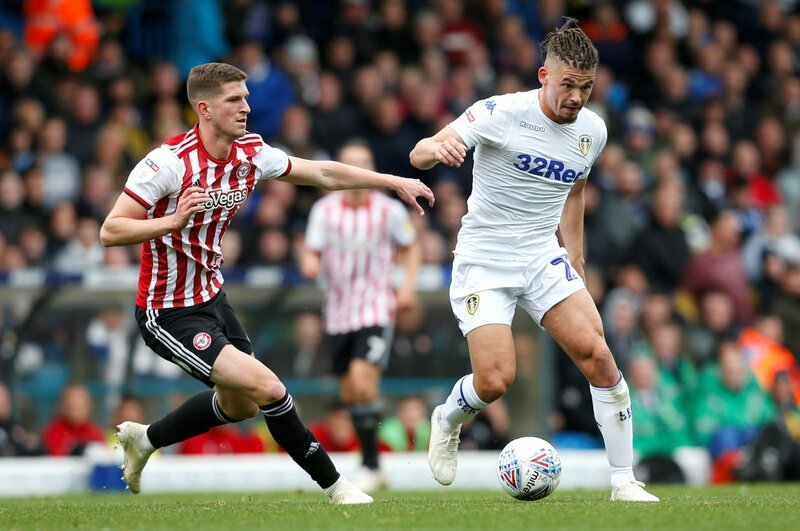 Scanning through the remaining ten fixtures, the three that immediately grab the attention are the three home ties with Sheffield United, Sheffield Wednesday and that penultimate game at Elland Road – Aston Villa. Picture the scene. The late April sunshine beams over the John Charles and illuminates a packed East Stand, a sea of straight palms shielding dilated pupils from its penetrating rays. Against the backdrop of a pristinely green Elland Road surface, the dash of white jerseys mixes with the claret and blue of Aston Villa. The vivid blue sky carries just a wisp of fluffy cloud, an oasis of calm hanging high above the swirling LS11 cauldron. 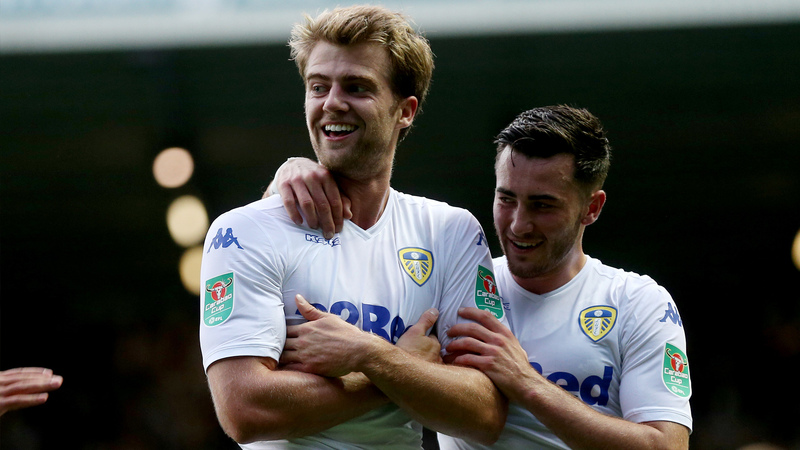 A St Patrick’s weekend victory over Sheffield United dealt their promotion hopes a killer blow, Irish international striker Paddy Bamford netting a hattrick in the process. The Blades sit on 89 points, with the Whites on 94 and Norwich City still on their table-top perch with 96. Three points will be enough to secure the long-awaited return to the Premier League. A carnival atmosphere prevailed as the crowd filtered in just a few hours earlier, but the Villains have not read the script. Their late run of form has catapulted them right into the play-off mix, and a win from either of their final games will take them into 6th place and condemn Frank Lampard’s Derby County to another year in the Championship. An early Hourihane goal is ruled out for offside, and their gung-ho enthusiasm has pegged back a nervy Leeds United side. Pontus Jansson is apoplectic, his protestations earning him a customary booking midway through the second half. With the stakes sky-high, the tension in the ground is palpable. The game enters stoppage time as a murmur of discontent spreads around the packed stadium. Billy Sharp has netted a late winner for the Blades over relegated Ipswich Town to put them back in contention for 2nd place. The fourth official signals five extra minutes and the crowd responds. 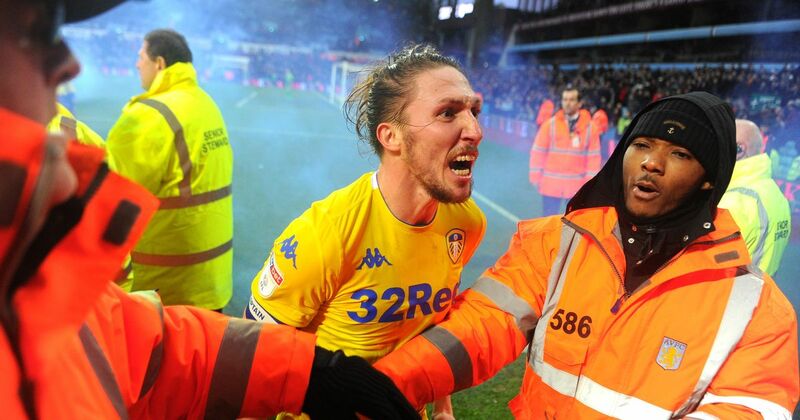 The murmur rises to a spine-tingling roar as a 50-50 clash between Liam Cooper and Tammy Abraham leaves the Villa man face-down in front of the Leeds dugout. Bielsa rises to his feet and punches the air. The uncharacteristic show of emotion raises the decibels on the terraces and lifts the players. They pour forward. Abraham lifts his head from the Elland Road turf just in time to see the net ripple in front of the South Stand. The silence around the ground is serene as the grimace breaks out on his face. In that moment of time-stopping agony and anticipation, a city braces for impact. Across the world, huddled around televisions, radios, laptops, the diaspora grip themselves open-mouthed. The pain, the frustration of points deductions, administration, financial mismanagement and erratic ownership swirl in the vacuum of that split second. The ridicule. Sutton United. Newport County. Histon. Cardiff in 2006. Wembley in 2008. Millwall in 2009. The eternal references to ‘doing a Leeds’ and the patronising wishes of nonchalant Premier League fans faux-mourning the loss of Leeds from the top flight. In that moment we are neither superfans nor lapsed disciples. Season ticket holders and day trippers together, atmosphere tourists and devoted ultras march to the same beat. Then, the release. The suffering floats off into the Yorkshire air, buoyed by the deafening delirium unleashed by the visceral joy of a late winner. Bielsa takes off down the touchline, outflanked by Salim Lamrani. The players pile on each other in the corner. Alioski’s pedantic and mysterious celebration fails to materialise as sheer impulse takes over. Pontus gallops around grabbing handfuls of the Elland Road air, as if trying to bottle the feeling of total and utter release. At the bottom of the Kappa-clad celebratory stack lies the goalscorer. But who is responsible for the furore? Who is the man who has stepped up and written his name into Leeds United folklore? Whose fairytale has a happy ending? In moments like these an unlikely figure can materialise to win the day. Who will be the hero for whom we’ve been holding out? The cult hero who has stolen our hearts. He entered the club under the cloud of the Cellino regime but earned the eternal love of the fanbase during the Sicknote Six fiasco. With the supposedly injured sextet withdrawing their services, the genuinely crocked Swiss man travelled with the squad. His fiery and passionate approach to representing the club has endeared him further to the supporters, with the “Berardi scores, we’re on the pitch” policy alive and well. A long-term injury has hampered his season under Bielsa, but an appearance in the win over Bristol City marked the return of the king. It would be fitting should he crown our return to the top flight. He’s magic you know. Pilloried unfairly by sections of the support on a number of occasions, the Yorkshire Pirlo has been instrumental under Bielsa. His leadership belies his tender years and he has been pivotal to the success of this season. 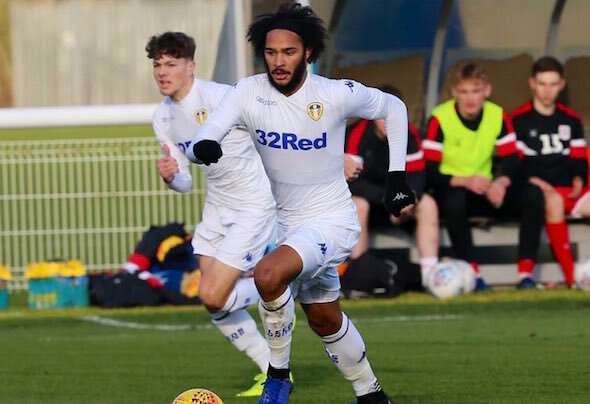 Should he pop up in stoppage time to seal our long-awaited promotion, it would mark a stunning finale to his rise to prominence at the heart of the Leeds midfield. Heading bricks in a white jersey since 2016, the passionate Swede has grown into an iconic figure for the Elland Road side. His beaming smile bears the hallmark of the legendary Lucas Radebe, while his no-nonsense approach and vigorous celebrations with the fans have built a genuine connection. Jansson’s devotion to his boyhood side, Malmo, also resonates with the Leeds United fans, and footage of him leading the chants ahead of their Europa League clash with Chelsea was met with admiration. If it was to fall on his shoulders to fire Leeds into the top flight, there would not be a single complaint. Exiled on loan for much of the previous season, the exit door had beckoned for the Polish international. His opening-day goal set the Whites on this glorious journey and he continues to arrive with goals at crucial times to haul Leeds over the line. His renaissance under Marcelo Bielsa has brought much-needed competition and energy to the Leeds midfield and his cultured influence and penchant for shithousery have brought smiles to our faces on many occasions. He was the first in with the ‘glasses’ gesture after the post-Spygate Derby victory and for that we salute him. He deserves a fairytale ending. ‘Bill’ has had a tough season and come in for criticism from some of the supporters, but his resilience has shone through. He nodded the ball into the path of Patrick Bamford to net the only goal of the game against former side Bristol City at the weekend, and his form has taken an upturn of late. 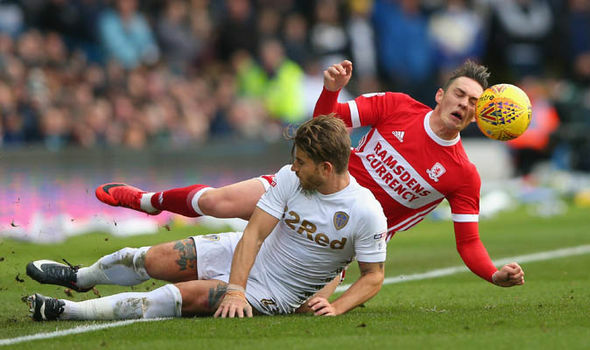 While not suffering the same ignominy afflicted on Kalvin Phillips or Liam Cooper, Ayling has had a challenging season adapting to Bielsa’s game. Deemed not good enough for the Championship by City boss Lee Johnson when he was sold to Leeds, his fairytale ending could be netting the goal that makes him a Premier League player. Making his debut in February, Izzy Brown’s season has been hampered with the injury that has kept him in the reserves long enough to merit a testimonial. Maybe it’s a Bielsa masterstroke as he looks to net a clean sweep of Senior, U23 and U18 titles, but he cut a frustrated and over-eager figure on his Loftus Road debut as Leeds fell to defeat at QPR. It would be so incredibly Leeds if it was to be Brown who found the net in April to see the Whites ascend to La Tierra Prometida. So often the man who flatters to deceive, he has managed to frustrate and confuse Leeds fans for the entire season. Reaching the end line time after time, the groans have been audible as the cross failed to materialise or the ball was lost under his feet to a grateful defender. In Harrison there is an excellent footballer waiting to emerge, and we have seen greater glimpses as the season has worn on, his vision to find Pablo for the opener against West Brom being one example. A promotion-clinching goal would be one way to announce the arrival of that player. 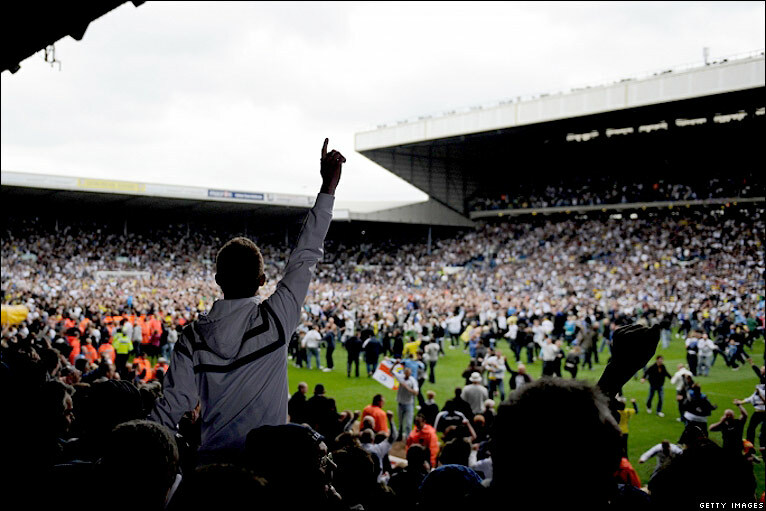 The Elland Road pitch swells with thousands of fans, eager to soak up the moment of deliverance. Players are swept along in the ecstasy and relief. It’s finally over. The Promised Land awaits. Pontus has plucked a flare from his sock and blue and yellow smoke billows around the elated masses. 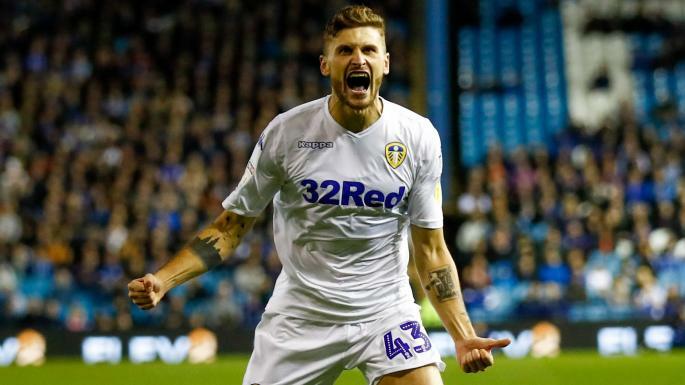 Berardi is being given his post-match shot to calm him down while Kalvin Phillips grins at the sheer carnage of it all. Orta and Radrizzani are throwing champagne around with gay abandon. But there’s better news. A late goal from former Leeds loanee Danny Graham has sensationally given Blackburn a 1-0 victory at Carrow Road. Leeds climb to the top of the pile going into the final game. The title is within reach at Portman Road. From his perch in front of the dugout, a wily Argentine surveys it all. He has united a city, a fanbase and achieved immortality in LS11. He smiles in satisfaction at all before him, all he has created, all he has inspired.